FILE - In this Jan. 7, 2018 file photo, Oprah Winfrey poses in the press room with the Cecil B. DeMille Award at the 75th annual Golden Globe Awards in Beverly Hills, Calif. Winfrey will interview two men who say Michael Jackson sexually abused them as boys immediately after a documentary on the men. HBO and the Oprah Winfrey Network announced Wednesday that “After Neverland,” will air on both channels Monday at 10 p.m. Eastern and Pacific. 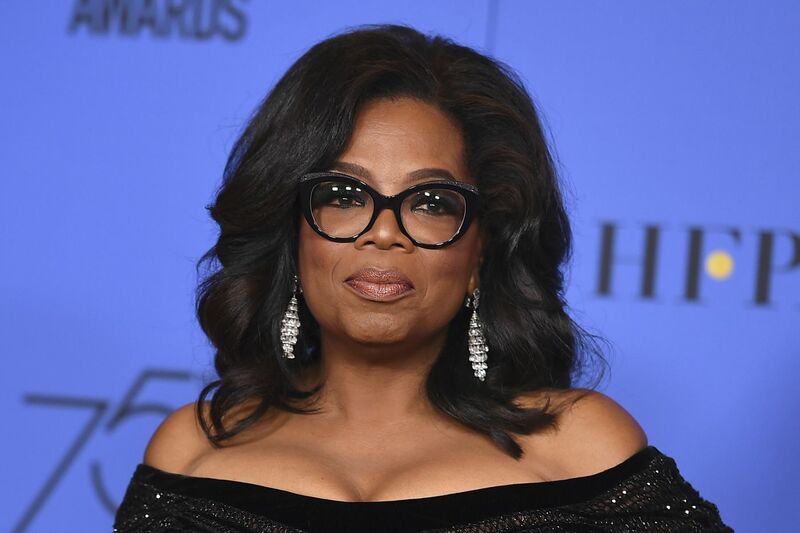 Over the weekend, Oprah, Gayle King and Stedman Graham were spotting dining in Cape May, where the trio enjoyed several dishes from the Ebbitt Room at the Virginia Hotel in town. According to an eye witness, the group showed up at the Ebbitt Room around 8 p.m. on Saturday, and immediately congratulated a group of diners who were celebrating a wedding. The bride and groom also reportedly received a round of applause from Oprah and her crew. As far as dinner, Oprah, Gayle and Stedman had items including the Beach Plum Farm Salad, hummus, and mixed oysters to get things started. Main courses, meanwhile, included heritage chicken, braised short rib, and lobster, while dessert consisted of sticky toffy pudding, sweet ricotta donuts, and chocolate lava cake. Oprah, our eye witness notes, has been a “frequent visitor to Cape May over the years,” while Stedman is a native of Whitesboro in nearby Middle Township. Oprah and King, a native of Chevy Chase, Maryland, were previously spotted on the Cape May boardwalk in 2013.